NASA has shared some truly stunning images of Mars, Jupiter, and Pluto over the past few months, but nothing beats the beauty of our own Earth. And wouldn’t you know it? The agency on Monday announced a new site dedicated solely to provided daily looks of the full, sunlit side of the Earth. 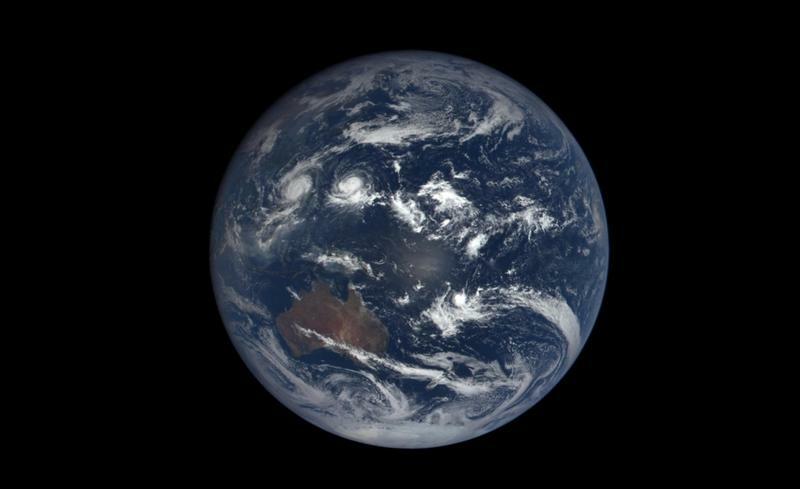 If ever you need a reminder that our planet is precious and (probably) one of a kind, simply head to NASA’s website and check out shots that are taken by the Earth Polychromatic Imagine Camera (EPIC), which is about one million miles away aboard the Deep Space Climate Observatory (DSCOVR). And these images will be new, too. NASA said at least a dozen new color images of Earth will be posted once a day, taken about 13 hours prior to being shared online. This will allow scientists to see the Earth as it rotates, and essentially reveal the entire globe over the course of a day. Not only that, but it’ll give us real-time solar wind monitoring capabilities, which NASA says is critical to the accuracy of space weather alerts. The images will also provide daily variations in features such as vegetation, ozone, aerosols, and cloud height. 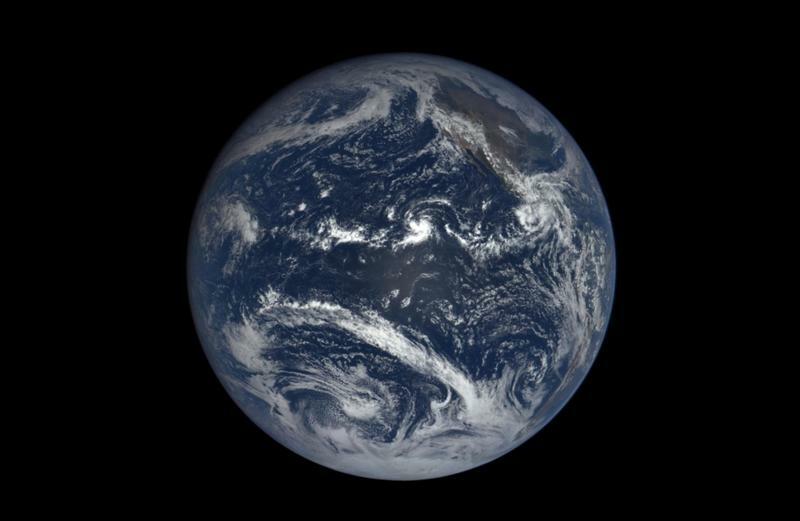 You can head on over to the DSCOVR: EPIC page to see all the images that NASA posts of Earth throughout the day. Not only will you see information like how far away DSCOVR is from Earth, but how far the sun is at any given time. As of 2:42:40 GMT, the sun is currently nearly 92.7 million miles from Earth. 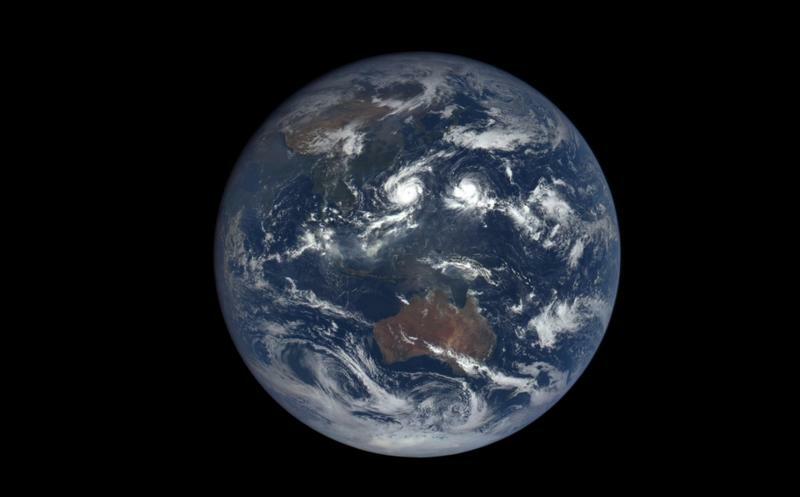 Check out the link below to see the latest images of Earth.